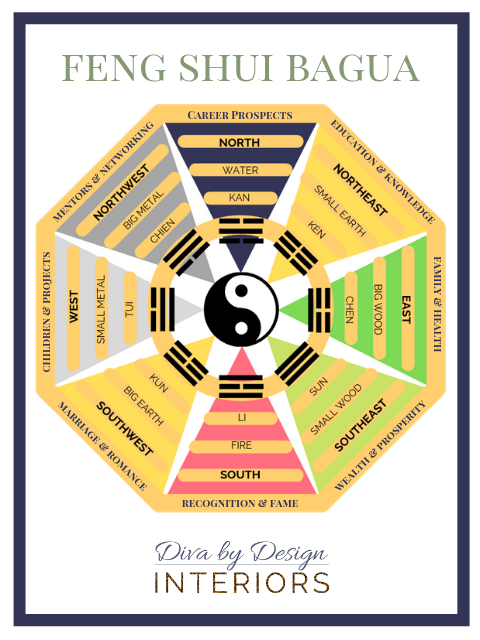 Feng shui is an ancient art & science practiced in China for thousands of years. It is used to improve the layout and flow of energy through your home. In feng shui, energy is referred to as Chi or universal energy that flows through and around everything. This energy has both yin (passive) and yang (positive) qualities. You need a balance of both yin and yang energy to achieve harmony. By following feng shui principles, you can create an environment that is more pleasant for you and your family. The more pleasant and supportive your home or office is to your life and work, the more successful and wealthy you will be in your career and relationships with others. When you’re happy with your inner self, your outer life works better for you. Feng shui works so that when you have a home with good energy flowing into it, that positive atmosphere affects your mind-set and you take that out into the world with you. In your home, the furniture, materials, colors, and accessories you choose affect the flow of Chi into and throughout your home. The shapes, patterns, and textures of the things you place in your home all have meaning and are associated with certain elements in Feng Shui. Giving you the opportunity to achieve health, happiness, and well-being by living in harmony with your environment, and acquiring the ability to transform your home into a haven of repose, wealth, and harmony.